My needle of gold missing in the hay! 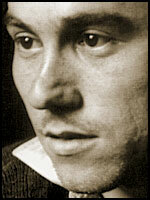 JEAN SÉNAC (1926-1973) was an Algerian poet who wrote about the fight for Algerian independence in French. This poem was translated from French by Justin Vicari.